It’s hot and the garbage on your street is beginning to sweat. The pungent smell slowly snakes its way to your nostrils. For some reason, your apartment feels like a Finnish sauna despite the blasting AC and open fridge. You want to go outside but you’re not quite sure where to go or what to do. That’s when a lightbulb goes off in your head! What are those outdoor places we used to visit before the cold time, those wonderful secluded havens? 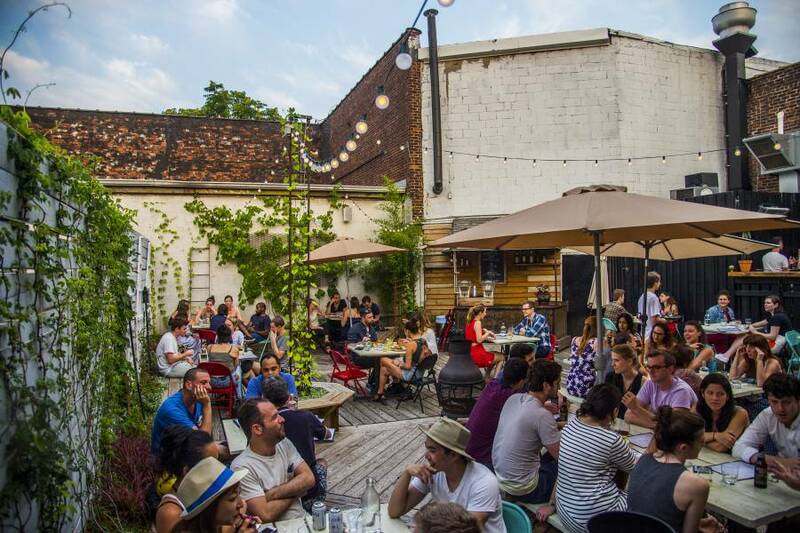 “O Patio, Patio, wherefore art thou Patio?” Crack a beer and enjoy life in the shade at these 5 Brooklyn Patios and Rooftops. 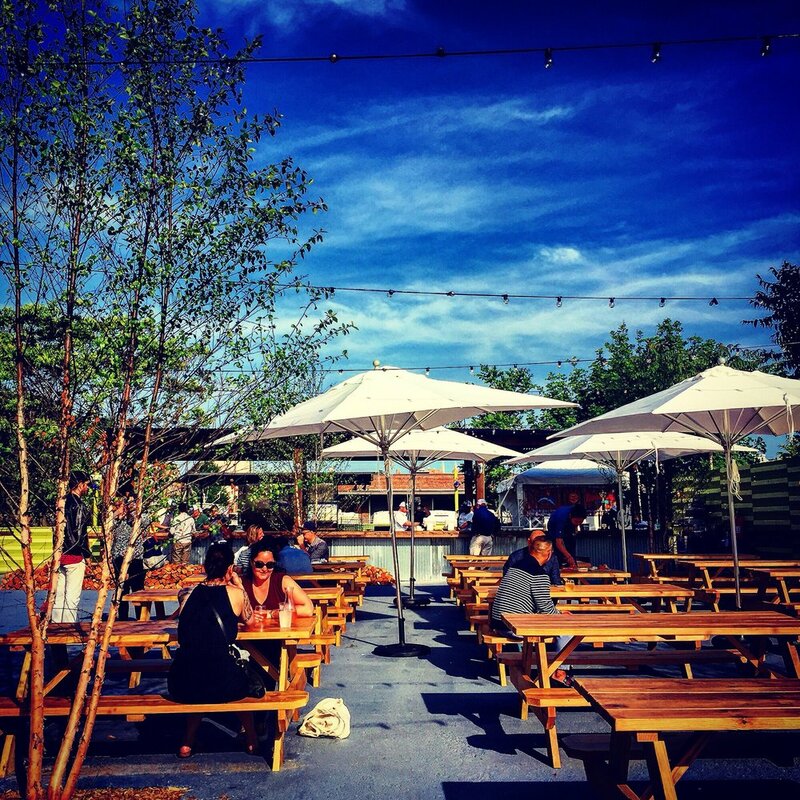 If you’re in the Gowanus Area, this is the place to go for outdoor drinking. Once upon a time, the Gowanus canal was dubbed Lavender Lake due to its purplish toxic tint. Now, this moniker is much better suited for a chill bar with a big patio. They also serve up some truly above average food if you’re looking to grab lunch. 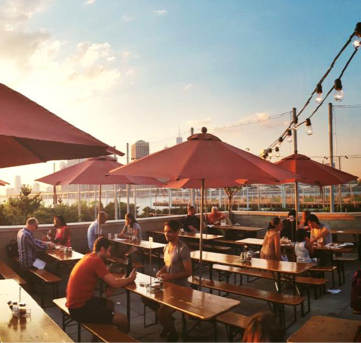 Pizza ✓ Beer ✓ View ✓ Situated in Brooklyn Bridge Park, this is the perfect place for large and small groups alike. The order-at-the bar situation makes this a casual spot to hang out and shoot the breeze. 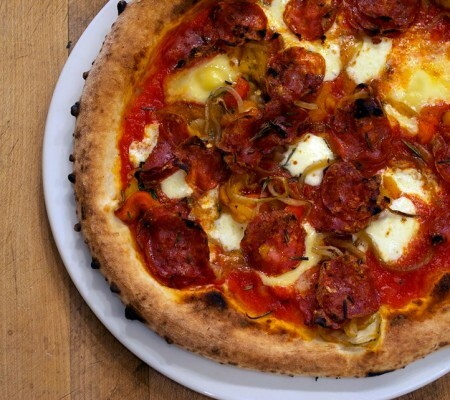 Prices aren’t sky high and the pizza never fails to hit the spot. The boats bobbing in the harbor below and the breathtaking sunset views add to the appeal of this rooftop patio. 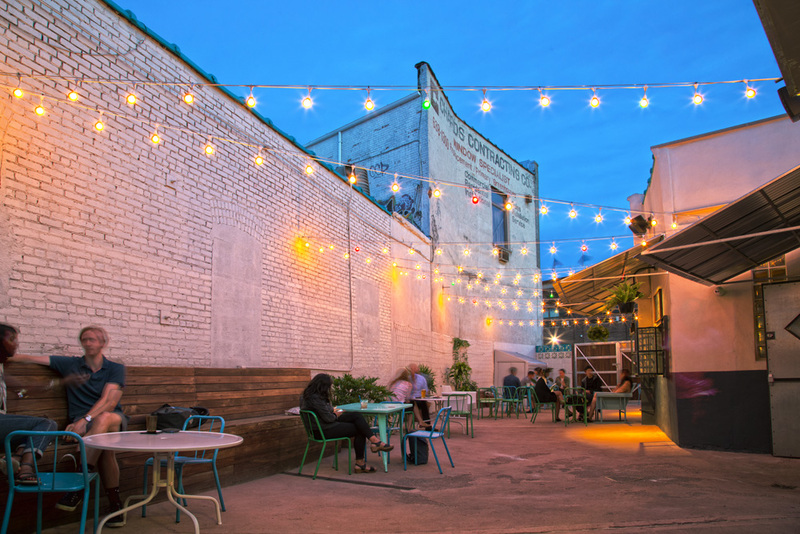 Situated in industrial Bushwick, this bar has a good-sized rooftop patio that’s perfect for day or night drinking. 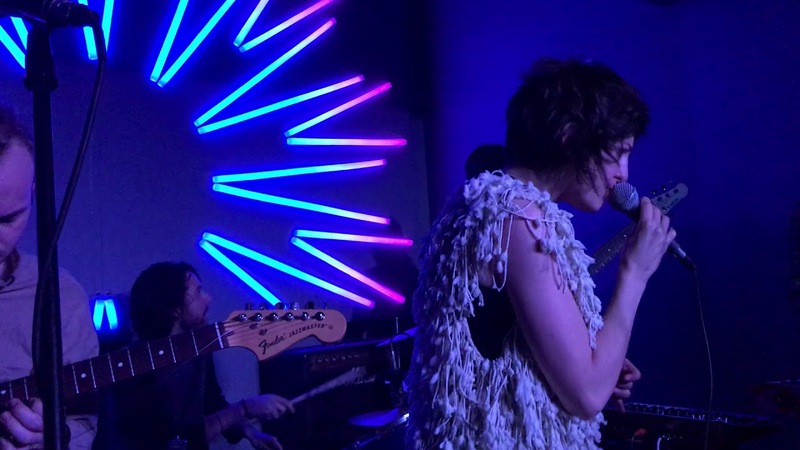 On the weekends, bands regularly show off their skills at this outdoor venue of sorts. If movies in the park aren’t really your jam, every Monday evening you can catch a free flick up on the roof. 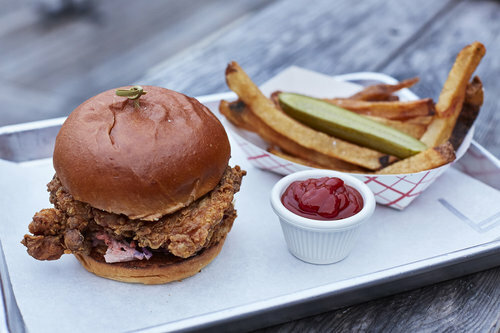 Pig Beach is a Gowanus hot-spot for day drinkers and meat enthusiasts alike. 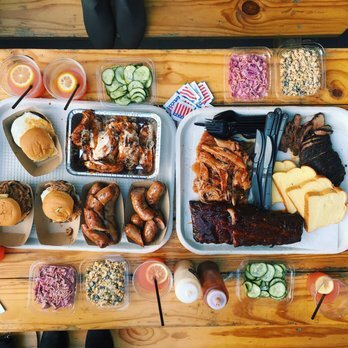 A sea of picnic tables allows for ample seating at this lively outdoor Brooklyn restaruant.Trust me, you will want to plop down and take a breather after inhaling a plate of finger-lickin’ good baby-back ribs. A good place to spend a sunny afternoon in BK! 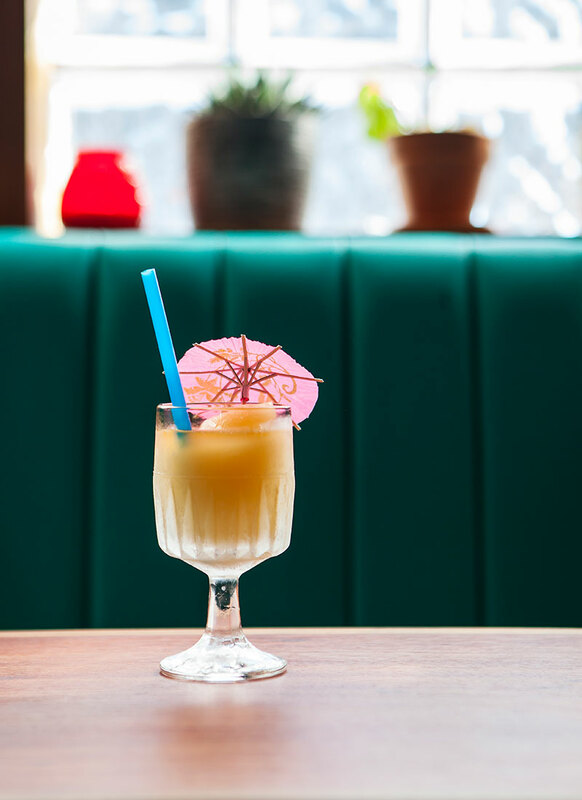 If you’re looking for space, this tropical-themed bar has got you covered. 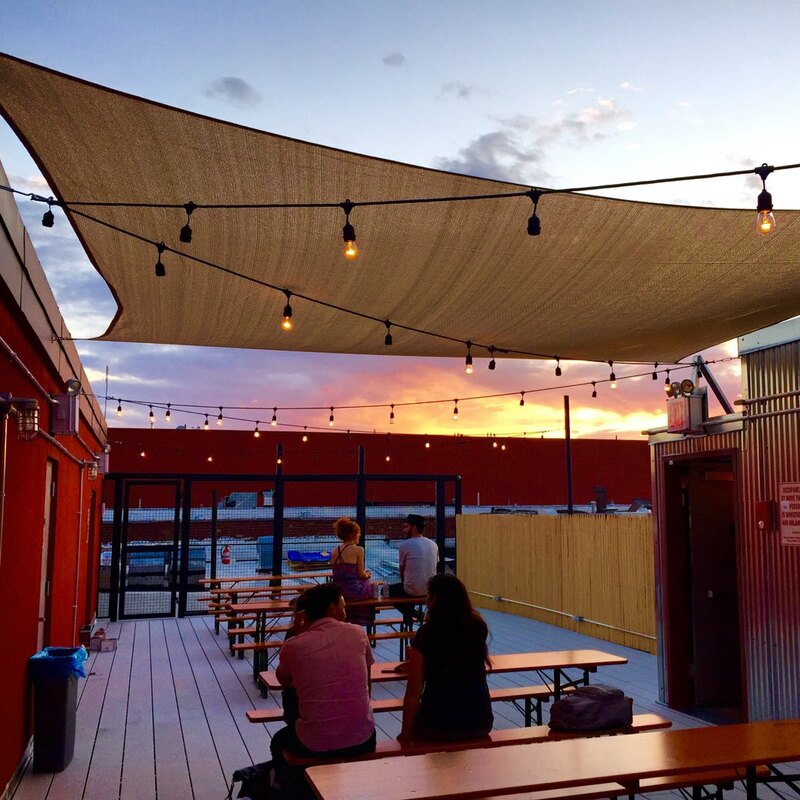 Think of your average neighborhood bar patio and double it. Due to its location on a seemingly barren stretch of Atlantic Avenue, the patio stays open long after normal bars have shuffled in the masses. If you’re feeling adventurous, order a frozen Penichillin, a purpose-built concoction of Scotch, honey, lemon, and ginger. Just don’t blame me if you get shipwrecked at the reef. This is your classic neighborhood watering hole. No tiki-drinks, mid century modern furniture or neon script to be seen. There is however a nice patio and plenty of cheap drink options. 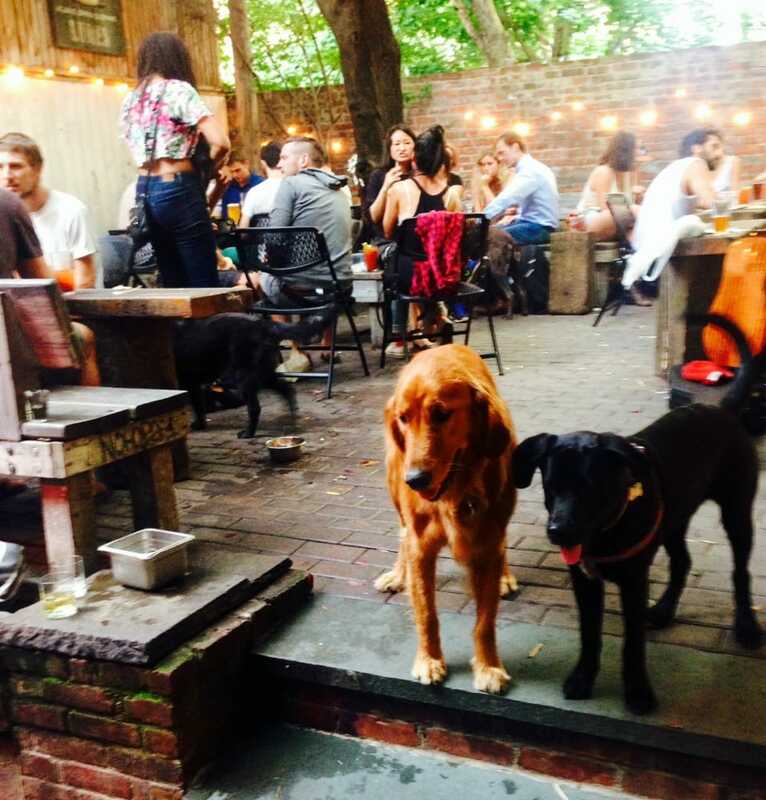 Dogs are allowed to chill in the shade with their tattooed owners in true Williamsburg spirit.